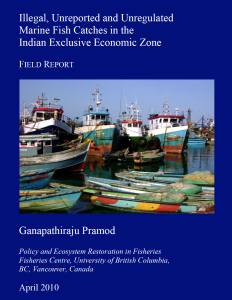 Taking a dvanage of previous local contacts, language and knowledge of the coastal areas of India, in a 7– month field visit in 2008/9, Ganapathiraju Pramod gathered information that may be used to make a complete estimate of fishery extractions, including illegal and unreported landings and discards (IUU). Nine of the ten coastal States of India were visited, including the Andaman Islands. Methods used were over 150 confidential interviews, gathering of grey literature reports and direct observations. The trip was sponsored partly by the UBC Cecil and Kathleen Morrow Scholarship for 2007, by DEFRA (UK Government, as part of global analysis of illegal fishing), and partly by MRAG (UK, as relating to a core area of interest). 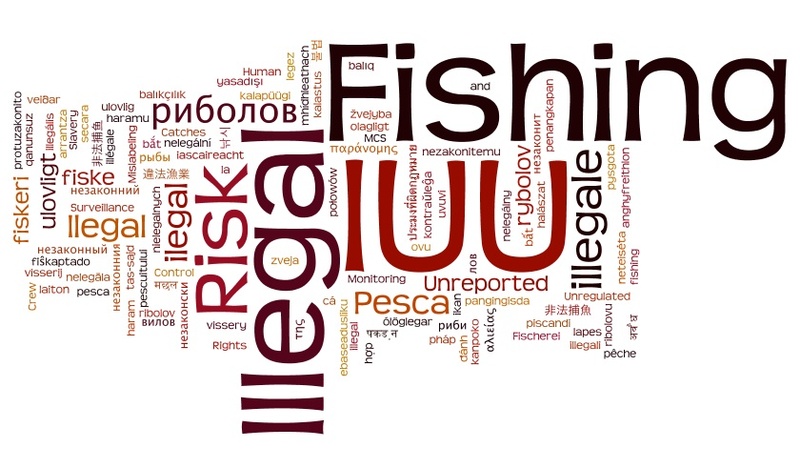 This report describes the fieldwork completed, together with some preliminary results that suggest an Indian IUU catches in excess of one million tonnes per year.